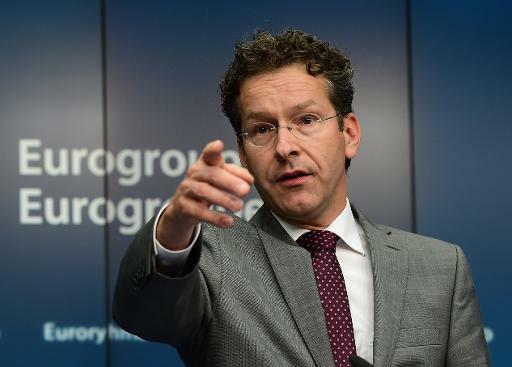 Eurogroup chief Jeroen Dijsselbloem warned Thursday that Greece's financial situation is deteriorating, saying a 'No' vote in Sunday's crunch referendum would question whether Athens still had a place within the eurozone. "The situation is only getting worse, due to Greek government's behaviour," Dijsselbloem, who is also Dutch finance minister, told a parliamentary question-and-answer session in The Hague. "In case of a 'No', Greece's (financial) situation will become exceptionally difficult," he said, adding a suggestion by Athens' that a vote against austerity proposals would lead to less harsh reforms was "simply not true." "The economic problems will be even bigger and an aid programme more difficult to implement," Dijsselbloem said. If Greeks say no "there is no base for a new programme, but there's also the question whether a base remains for Greece in the eurozone," he said. Although Athens insists the referendum is narrowly on tough austerity conditions attached to a bailout that expired on Tuesday, EU leaders say it is a vote on whether Greece wants to remain in the euro. The Greek government led by Prime Minister Alexis Tsipras is fiercely campaigning for a 'No' vote, believing rejection of the bailout conditions would strengthen its hand in negotiations with creditors. On Tuesday, Greece failed to repay 1.5 billion euros ($1.7 billion) to one of those creditors, the International Monetary Fund. Athens is in danger of falling in arrears to two other major creditors, the European Union and the European Central Bank, if it also fails to pay 3.5 billion euros on July 20. EU leaders, including those of Greece's biggest creditors Germany, France and Italy, have all said they would view a 'No' result in the referendum as a rejection of Europe.